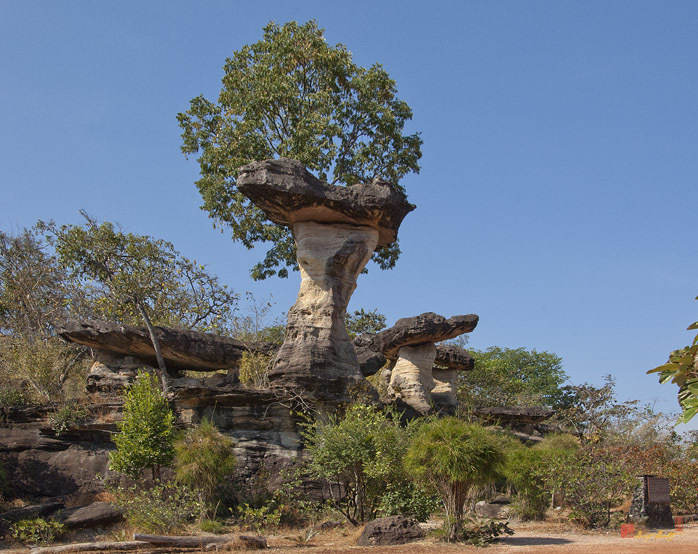 Pha Taem National Park is located on the bank of the Mekong River, Ubon Ratchathani Province, Khong Chiam district. Pha Taem is the name of the painted cliff; the word "Pha" meaning cliff and "Taem" referring to painting. 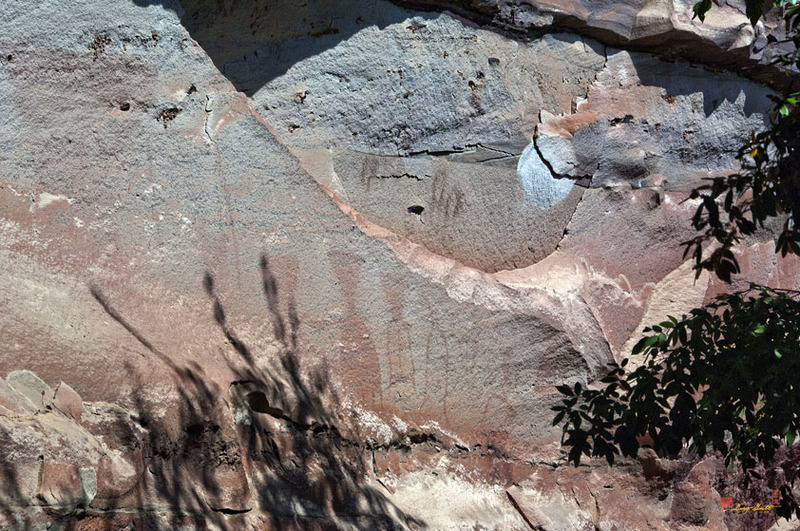 Pha Taem is well-known and unique in Thailand for its prehistoric paintings which date back to 3,000 to 4,000 years before recorded history. The paintings scattered along the cliff cover an area of 180 meters with more than 300 individual objects depicted. The pictures can be categorized into four groups. The most outstanding pieces include elephants, fish, a fishing tool called "tum" in the local language, wild animals and shadow-paintings human hands. These paintings give a glimpse into the peoples' way of life and the civilization of the Khong River community in ancient times.